I have a confession to make. I’m scared of sewing zippers. I sewed one a long time ago when I made this dress for Audrey, but it has never worked right. 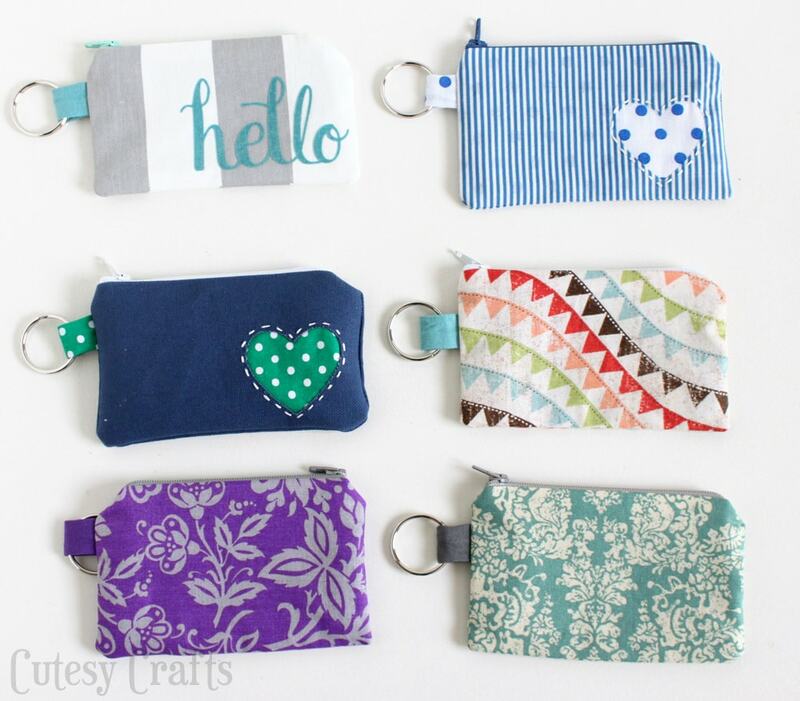 With SNAP coming up, I wanted a unique business card holder to carry my cards around in, so I decided to conquer my fear and make this cute little zipper pouch. There’s a tradition at blog conferences to bring gifts for your roomies, so I made some for them. Don’t worry, I didn’t have that many roommates. I made extras for fun. I used the tutorial here on Noodlehead and it was surprisingly easy! This one was one of my favorites. 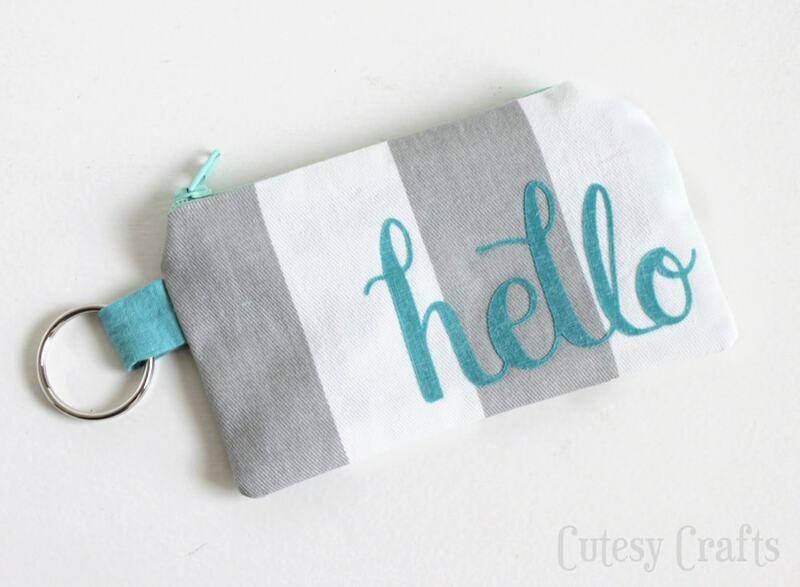 I cut the “hello” on my Silhouette using Heat N Bond Ultrahold on the back so that I wouldn’t have to sew it. 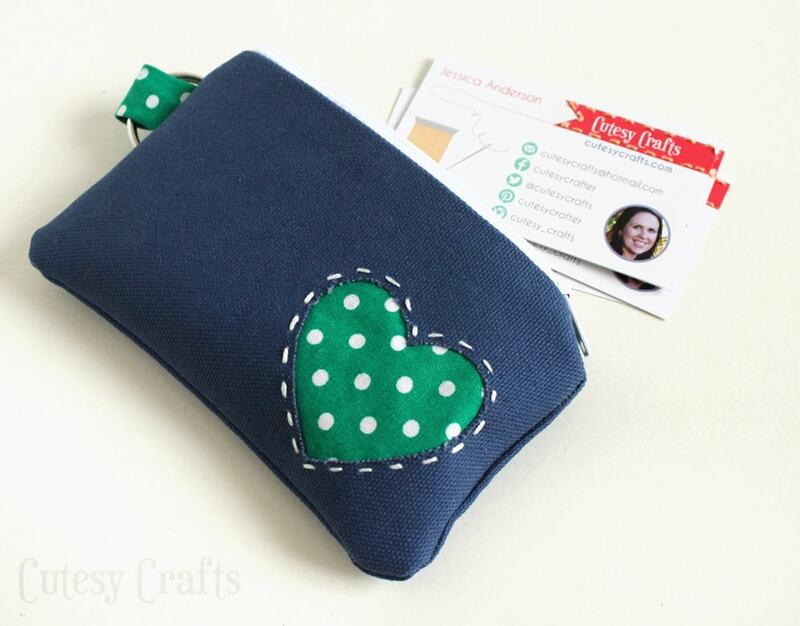 The heart pouches with reverse appliques have an extra layer of fabric that peeks through. I cut the hearts on my Silhouette and hand stitched a running stitch around them. I think I’m definitely over my fear of sewing zippers. Watch out sewing world, here I come! 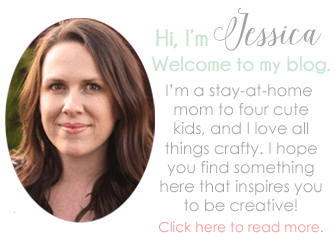 Oh-em-gee, these are simply adorable, Jessica! I don’t know which I prefer: the peek-a-boo hearts or the one greeting me with a “hello.” I’m smitten! I’ve only sewn a few zippers and it’s definitely scary business; any tips or tricks that you picked up in your process? You always leave the best comments, Lauren! Thanks! Sewing these was a little different than sewing them into a dress, but I learned that you don’t want to sew too close to the zipper teeth. That was my problem before. If you get too close, the zipper gets stuck in the fabric every time you try to use it. My recommendation… spend a couple extra bucks and get a zipper to practice on. That way you get a feel for how far away from the middle you should sew. These are adorable! 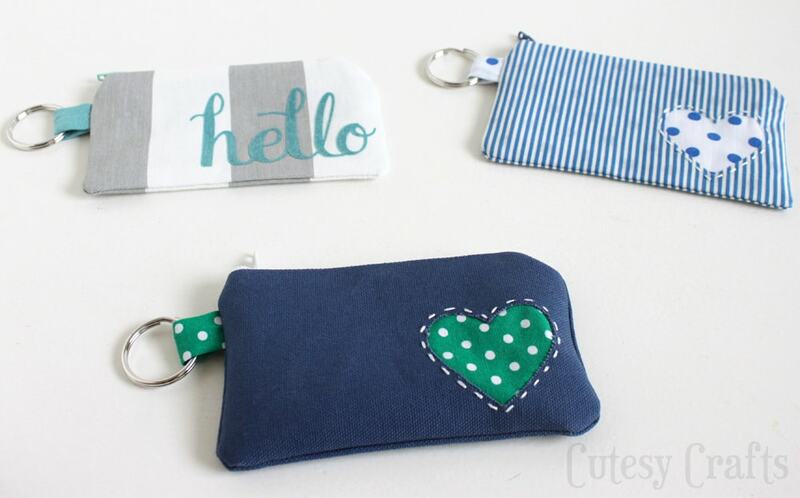 The hearts and hello are especially cute, and Yay for zippers! Good for you! I Love hearing about people who have finally gotten over their fears of zippers and buttonholes. Once you’re comfortable with those, sewing everything else is cake! Thanks, Mindy! No, I used to sell things, but I hated it so much that I stopped. Have fun at your conference!